We just got back from the Calscape Expo in San Diego, a yearly international conference put on by PIA for members of the interior plantscaping industry.It is forum for plantscapers to get together to learn about innovations and trends through informative seminars conducted by industry leaders. It is the only one strictly for interior plantscaping. The seminars combined with the Exhibitor Showcase provided the opportunity to be exposed to the cutting edge trends not only in design but also the technological advancements in maintenance of the foliage . 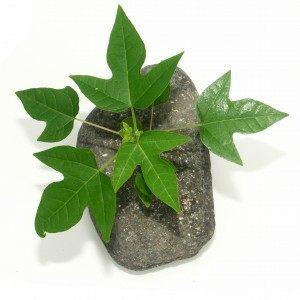 There is no greener industry than interior plantscaping, an industry that started the whole “green” movement . The individual who has contributed mightily to the interior plantscape industry through his pioneering research on the ability of indoor plants to remove volatile organic compounds from indoor air, Mr. Bill Wolverton, was inducted into the Interior Plantscape Hall of Fame. On Growing Expectations original website from 1982, there was a whole page on Dr. Wolverton and his research which was funded by NASA. It was such a privilege to be in his company as he has always been an inspiration to Growing Expectations for the 25 years we have been in business. Growing Expectations has always been green not only in its philosophy but also in practice. Much time was spent in brainstorming on how the plantscapers could help their clients to continue with plant maintenance programs in this current economic downturn. While many people view plants as a decorative item or fluff, the truth is that plants clean the air of toxic substances, decrease employee absences, and improve employee morale. They are a necessity in buildings whose air is not safe due to the toxic chemicals released by the office machines, carpets, plastics used in office furniture as well as construction. Interior plantscapers must work with their clients in creative ways to allow plant maintenance services to continue even though budgets are so tight. A large part of the conference involved getting information on different certifications from worldwide green industry leaders such a LEEDS and Green Plants for Green Buildings. There was a great deal of information and support for gaining certification. Growing Expectations is currently going for its Green Associate certification. We are committed to the building of “green” buildings and know that it is the wave of the future if we are going to protect ourselves as well as the earth as a whole. Growing Expectations is a cutting edge interior plantscaping company that is involved with the leaders of the industry to make sure that its clients get only the best service, innovative design, and a close working relationship. For more information on plants and containers, or to inquire about a free consultation for plants and planters in your facility just email us at info@interiorofficeplants.com.